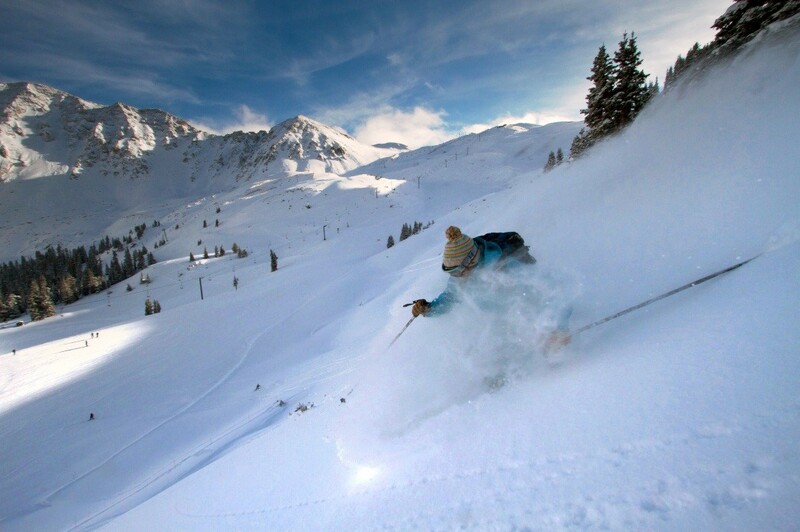 What are the ski conditions like right now at Arapahoe Basin Ski Area? Read commentaries and see photos from fellow skiers and riders sharing their on-mountain experiences. Check back daily for new user-generated firsthand reports from Arapahoe Basin Ski Area to see ski conditions, new snow and general stoke from the slopes along with images. Firsthand reports are submitted via the OnTheSnow Ski & Snow Report App. Download the free app to be part of the conversation. First time at A Basin, WOW! Sooo many steeps and trees, thank you Beavers, Montezuma, Pali and super cool and friendly staff, can’t wait to come back! half the day a white out at the upper half. w high winds. then times of sun and its fantastic. lots were full. lenawee lift crowded at times. Big Stuff! The Beavers skiing great! Most people work during the week, chill. If you want to enjoy Abasin, you NEED to come during the week. 5-7 inches of fresh this morning, yet the main lot never filled up, and I was still skiing fresh tracks by 3pm. Aside from the main lift, the longest lift line I saw all day was 5 people.